Last weekend was particularly vegan-tastic. I had so much fun going out and about, discovering some awesome vegan treats along the way. The pictures are not great because this wasn't a planned post and so I spent less time being arty-farty about the picture quality... but they will give you a general idea of some of my finds. This post will highlight a handful of my favourite vegan finds from over the weekend. You might want to check some of them out for yourself. 1. 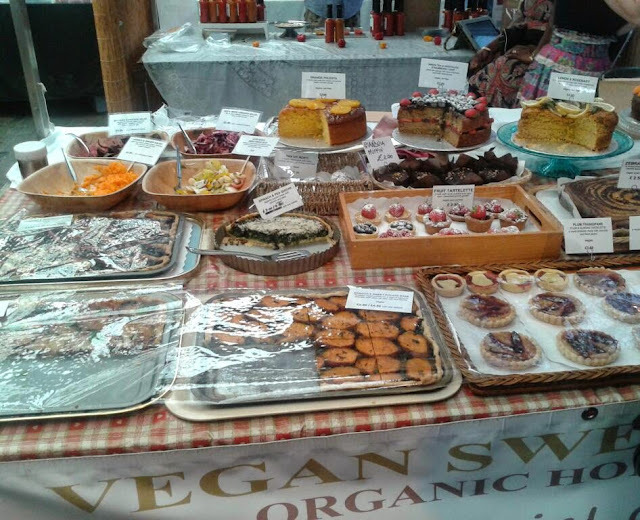 Greenwich Market - a surprising number of vegan-friendly stalls and market kitchens. I bought their chocolate brownie (and ate it before I remembered to take a picture). I had a difficult time picking something to try because everything looked so good - carrot cake, orange polenta cake, muffins, fruit tartlets, savoury pies etc. A really impressive spread. 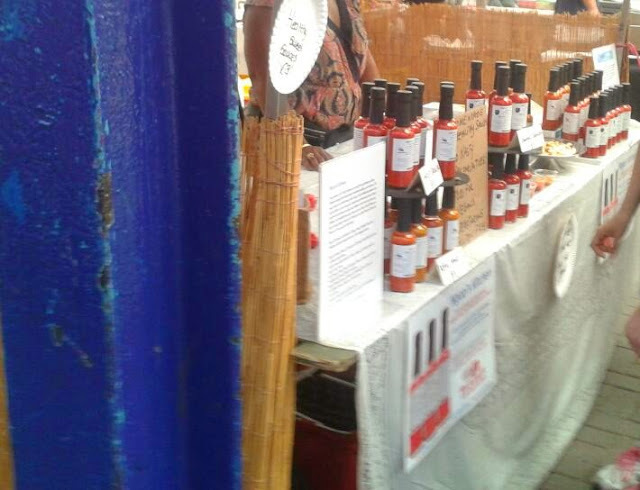 A range of wonderfully healthy hot sauces made with peppers and tomatoes, from sweet/mild to extra hot. Low sodium, very little oil. Full of heat and flavour. I tried all the samples and eventually bought the sweet sauce. It went great with a bit of rice and plantain. 2. 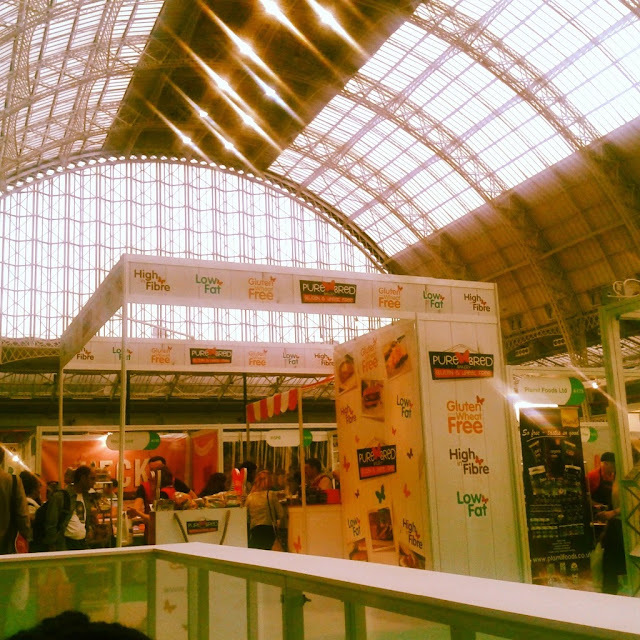 The V Delicious Show 2014 - vegetarian and vegan products exhibited under one roof = magical. If there is any vegan company from the V Delicious show worth raving about, it has got to be Ruby's of London. We had a great conversation with the lovely co-ordinator who was so informative and friendly, as well as incredibly encouraging when she heard a bit about my blog. 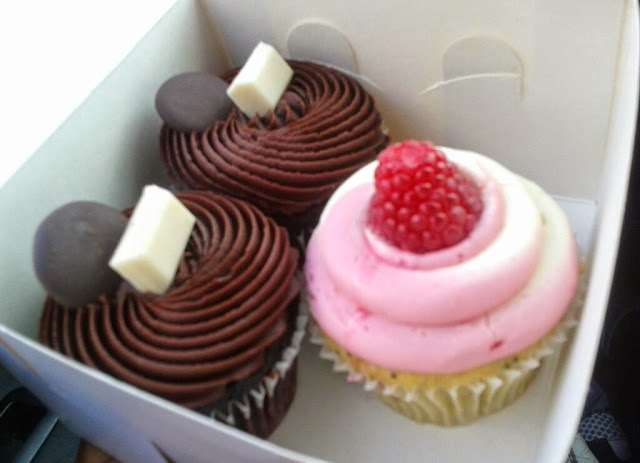 We were gifted with three gorgeous cupcakes - 2 'triple chocolate' and a 'raspberry ripple'. Apart from the beautiful designs, the cupcakes tasted like everything a good quality cupcake should taste like. Rich, fluffy and indulgent. I couldn't believe how perfect the textures were. Vegan baking extraordinaire. 3. Carnival - sun, music, food glorious food. 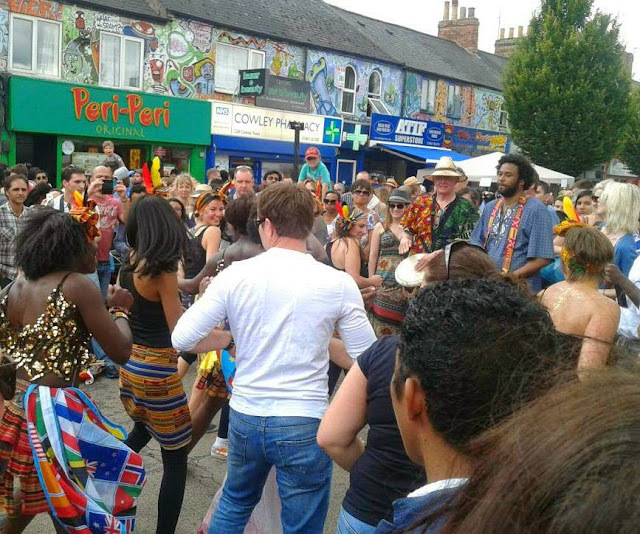 I attended a street carnival; spent a good 3 hours walking the entire length of the street and stopping to take in the different carnival attractions - dance performances, DJ sets, face painting, etc. I have decided that there is something indescribably enchanting about getting lost in a crowd. It wasn't that difficult finding something to eat. There were A LOT of barbecues, but also snatches of culturally diverse cuisines with vegetarian/vegan options. 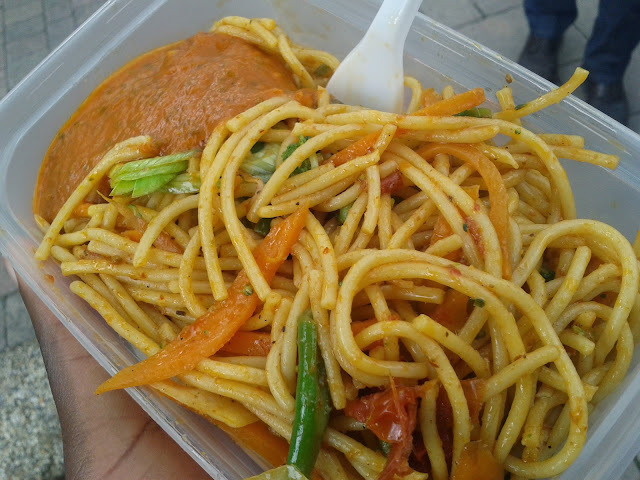 I settled on some flavoursome Nepalese vegetable noodles. When in doubt, seek out the less obvious food options. Now I want to go vegan.. But its so hard in this naija! Chai!! This looks great especially Ngozi's sauces. I am quite intrigued about vegan baking and would love a vegan master class. Did they have live demonstrations? There were no live demonstrations for vegan baking, only for 'Slim Pasta' and veggie sausages. Now a vegan master class is something that needs to exist! VARO JOLLOF RICE GIVEAWAY WINNERS!